Without giving anything away about the shows overall finale after eight seasons, its fair to say that the story of Vince Chase and his buddies was left open for the opportunity to pick up where things left off, which is exactly what theyve decided to do to the excited anticipation of the shows many loyal fans. Obviously this one was always going to be huge given the mass success of the franchise, and whatever the reason for wanting to see it some people will probably be walking into the cinema with the intention of finding out just how bad Disney have butchered the series this promises to be an absolute box office smash not seen since Avatar. The trailer alone received over 60 million views on the first day of its online release. While we have British Tom Hardy behind the wheel for this reboot rather than the original Mel Gibson, Australians in particular are very excited for this new Mad Max film set in the middle of the desert in post apocalyptic Africa. The trailer is one of the most incredible action packed scenes Ive ever seen and the movie looks like its set to blow us all away. After the huge success of the first film, guys everywhere are a little worried about the all female riots in the streets that the release of this raunchier sequel promises to deliver. It might be best to avoid the cinemas completely for the first two weeks of Magic Mike XXL to avoid the seas of screaming giggly girls. Judging by the trailer, The Second Best Exotic Marigold Hotel looks to offer a similar amount of laughs and heartfelt moments as the first one, and it must have been fun film to shoot because all of the original cast members have returned and Richard Gere has been added to the cast as a new guest, much to the liking of the female characters. Who would have thought that the Minions from Despicable Me, those little yellow creatures that apparently werent even part of the original script, would be such a crowd pleaser that they would be the main drive behind the advertising for the sequel, and then get their very own motion picture a few years later Its almost like a cult following now, with half of the franchises fans being 18+ anyway. Theres been a huge resurgence of old eighties and nineties films being remade in recent years, and it was only a matter of time before someone decided to tackle Jurassic Park and put their own spin on it. In Colin Trevorrows case, it looks to be a much darker one than the original Jurassic Park, and weve also been told not to expect the exact same storyline either, which is refreshing. Finally, fairytale fans the world over will be blessed with live action footage of Cinderella slipping on the heel that fits this year rather than an animated version as Kenneth Branagh takes his spot in the directors chair for Cinderella. People are looking forward to seeing the usually so lovely Cate Blanchett in the role of the Evil Stepmother. 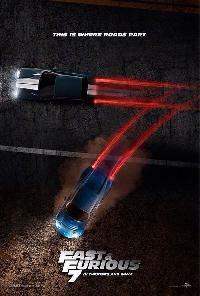 The release of Fast & Furious 7 will be a bittersweet event as fans remember the passing of Paul Walker late 2013 ironically, in a car crash. Nevertheless, his last film looks to be an epic one, and this is one of the few franchises that people dont seem to be getting sick of, even after 6 sequels. The budgets keep getting bigger and the applause keeps getting louder.